A good yoga teacher will make it her or his mission to maintain a constant reminder of proper breath throughout the class. Deep breathing techniques help us to maintain a healthy lifestyle. During yoga classes is essential that students learn that without proper breathing, the yoga class is half done. Today we have an epidemic of bad breathing habits! We breathe as if we are in a hurry or under attack – a normal person now a day’s breathes an average of 15-18 breaths per minute and that is hyperventilation – taking you to the sympathetic nervous system. If this system stays activated for long periods of time, increases of hormones such as cortisol and adrenaline stresses the body to the point of premature death such as heart disease or stroke. Yoga teaches us to slow down to breathe on average 8 – 12 breaths per minute taking us to the parasympathetic nervous system. A yogi, I was told, could slow down completely and takes an average of 4 breaths per minute. Breathing deeply allows for greater circulation with less work, it reduces stress on the heart and enhances the entire cardiovascular system. Ten full breaths in the morning have the capacity to alkalinize our entire body. Our Asana practice is a completely new experience when we breathe properly – what a difference it makes with our ability, comfort and awareness. Proper alignment and breathing is what yoga teacher’s focus in the west. Proper breath through the nose takes us to an internal awareness of mind and body. Breathe work which connects mind and body in shared consciousness. By focusing on the breath, we can bypass the chatter of the mind and ego. As we progress in our breathing technique, our circulation improves, thus delivering more oxygen to our blood. Improved oxygenated blood fuels the muscles and enhances our concentration. For thousands of years yogis have managed to control involuntary systems of the body under conscious control. The most essential function of the body that can be regulated is the breath. Breath is an easy mechanism that takes us inward because it can be heard, felt and counted without special equipment. Breath helps us stabilize our thoughts and allow relaxation to set in. When the breath is shallow, our heart works harder to deliver oxygenated blood thought out the body. Many systems are compromised as well… for example compromised circulation affects the immune system - it affects the elimination of toxins lowering the body’s overall functional capacity. Pranayama helps in keeping the body’s physical and energetic processes healthy. Also it helps prevent physical decay away from the cells keeping us feeling and looking younger. Proper breathing starts from the base of the diaphragm near the pelvic girdle. This helps to relax the rest of the respiration muscles and some neck muscles. This calming effect is brought upon the parasympathetic nervous system. This calming state deactivates the sympathetic nervous system. This regular yogic practice of pranayama of deep, slow, nostril breathing produces a multitude of health benefits: reduced anxiety, healthier blood pressure, balanced brain waves, and improved physical endurance. Human breathing is centered in the crowded area of the torso, where most of the major organs are close in proximity. Heart is right in the centre – its bulk resides to the left side, leaving only 2 lobes on the left lung and the right side with 3 lobes. The diaphragm is a parachute-shaped muscle, located just below the heart and lungs and attached to the lumbar spine, lower six ribs and the sternum. As the diaphragm contracts, the space in the chest cavity expands, giving the lungs more room to fill. The intercostal muscles, located between the ribs, also contract to expand the rib cage upward and outward. As this space opens, air is drawn in and the lungs inflate. Exhalation occurs when the diaphragm relaxes, moves upward in the chest, and presses the air out of the lungs. When the diaphragm is activated, many of the organs and tissues sorrounding it are massaged and stimulated. If we breathe too shallow, the diaphragm does not contract fully, meaning the lungs do not expand to full capacity. As a result air only reaches the chest area straining the neck and shoulder muscles. Breaths are short and rapid. If we continue to breath into the chest rather than the belly, creates strain to the whole body robbing cells and tissues of good oxygen creating weakness and imbalance in the diaphragm and intercostals. If we observe a young child sleeping, you can see the gentle inhalation and exhalation without any type of stress. This is how we all started to breath - no stress, no anxiety, no worries. We allowed our prana to gently flow in and through our body. Then of coure, life happens and we forget how to breathe. At the end of a yoga practice, during at last posture, savasana, we can observe us and others with this gently belly breathing. Can we live longer with proper breathing? It has been observed that animals take less breaths per minute and live longer. For example a tortoise can live up to 300 years old. We can definitely perform so many different activities with proper breathing. Through the nose using your diaphragm - only through your nose avoiding dehydration by breathing through your nose. Sheetal also means cool, and this pranayama technique will help you achieve the same. To perform shitali pranayama, be seated in a comfortable position. Cross your legs and take five to six deep breaths to get yourself prepared. Now open your mouth in a "o" shape and start to inhale through the mouth. When you exhale, do so with your nose. This can be repeated five to ten times. Ujjayi means the ocean and this pranayama is about mimicking the oceanic sound or the sound of the waves. To do this, be seated in a comfortable position crossing your legs. Now start to inhale and exhale deeply using your mouth. While doing this, constrict your throat as if something is choaking it when you exhale and inhale the air. This will produce a sound similar to the ocean when you breath. Now close your mouth and start to breath using your nose, but maintain the same tone to your throat so you still continue to make the same sound as your breath. You can repeat this prayanama breathing exercise for about ten to fifteen times. To perform the kapalabhati pranayama technique, sit in a comfortable position crossing your legs. Perform two to three deep inhales and exhales. Now inhale deeply and exhale forcefully drawing all the air out. Your belly should be drawn in, as you exhale. When you inhale, let it happen passively without you making any effort to inhale as the belly goes back to normal position. 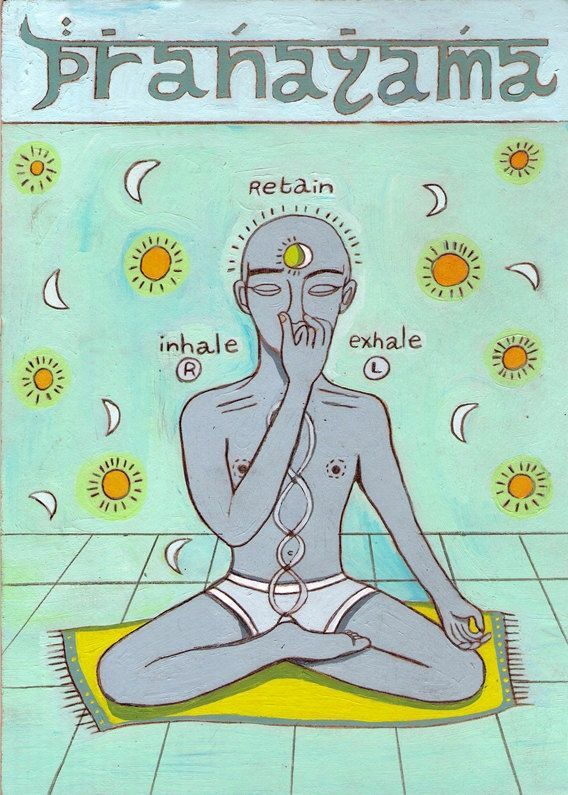 Viloma Pranayama involves paused breathing at regular intervals and can be divided into two stages. Viloma Paused Exhalation: The paused exhalation is the exact opposite of the inhalation process. In this case, you inhale deeply and normally without interuption, but exhale with regular pauses. Just like Viloma, Anuloma is about alternate nostril breathing. In this case, the inhalation and exhalation is done with one nostril blocked and the other partially open. Some variations of the yoga are granular anuloma. This type of pranayama is particularly useful in clensing the nasal passages and creating calmness within. Our mission at OM Healing Center is to offer you a comfortable space where you have all of the tools needed in order to find motivation, dedication and transformation to reach optimum balance. OM Healing Center offers daily Hatha and Ashtanga Yoga Classes, private yoga classes, meditation, 200 hour yoga teacher training in the Andes of Ecuador, weekly themed retreats, a combination of Yoga and touristic trip to incredible India, We host your international event As part of our alternative medicine, we offer a holistic approach to health through Homeopathy, Quantum Healing, Ayurveda Medicine, Ancestral Medicine, Ayurveda Massage, and Cranial massage, Reiki Energy Healing, Nutritional Coaching and Psychotherapy.